Samples of a hard scale (Hemiptera: Diaspididae) were collected by FDACS-DPI in November 2017 and in January 2018. 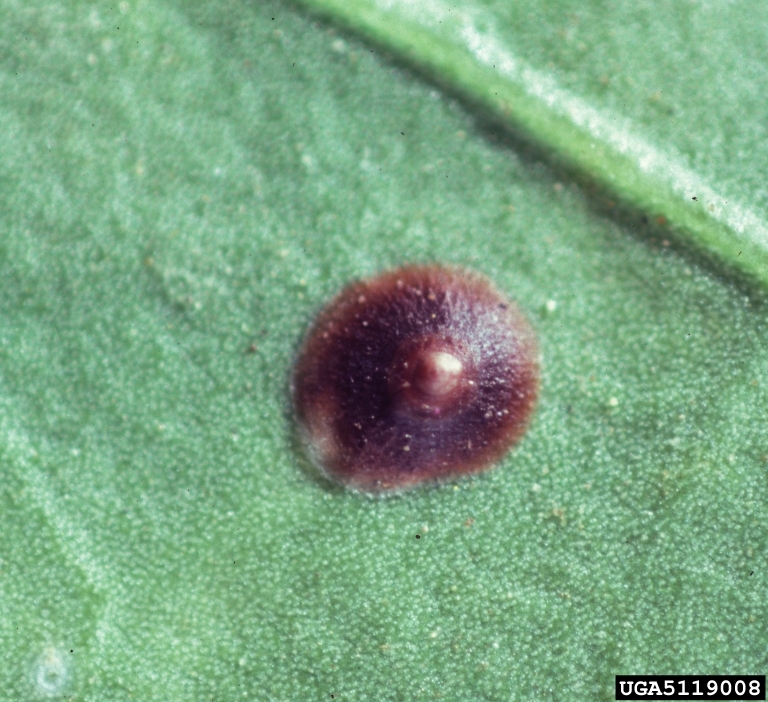 All samples were confirmed as Chrysomphalus bifasciculatus, the false Florida red scale. This scale is widespread in the western and southeastern United States, and has also spread as far north as New Jersey. It is very similar in appearance and biology to the Florida red scale, Chrysomphalus aonidum. Hard scales (Diaspididae) are a family in Hemiptera in which the females produce a hard waxy covering that is not attached to their body. 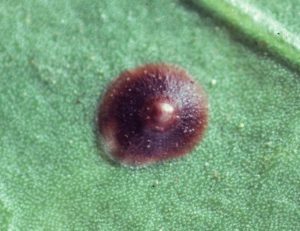 The false Florida scale primarily lives on the leaves of its hosts, where it feeds on plant sap and causes chlorosis and leaf drop. It has a wide host range, including several ornamental and citrus species that are important to Florida growers. Some examples are camellia, citrus, oleander, and cycad. Distinguishing Chrysomphalus bifasciculatus from Chrysomphalus aonidum requires professional identification. For the purposes of management, these scales are controlled with very similar practices as other hard scales. You can read more about the biology and management of C. bifasciculatus in this DPI Entomology Circular.